Day of Service is one of the flagship events in the YCL's calendar of events. Mark your diary to join with fellow Yalies in reaching out to the wider community. 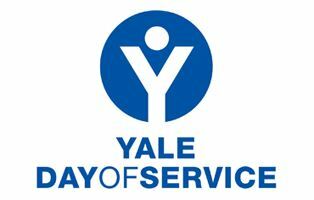 This year the Yale Club of London is partnering with the British Refugee Council (https://www.refugeecouncil.org.uk) to deliver a Day of Service to their Children’s Section and their Destitution Support (support for homeless asylum seekers), and possibly their Integration Service (helping refuges who have 'leave to remain' contribute to their communities). Much of what we’ll be offering grows directly from the work alums have been doing over the past three years. Those who took part in last year’s partnership with IntoUniversity gave and received much from their small group interaction and engagement with young people from across London. The young refugees who benefit from the Children’s Services in Croydon are no less eager and dynamic a group, with hopes of finding their way into higher education and other avenues to fulfil their dreams and talents. There will be plenty of scope for recent graduates in particular to contribute to the day. The day’s itinerary will include opportunities for fun and games, both reflective and active. We will need people who can serve as companions for different parts of the journey prepping and delivering the picnic, organising and supplying the equipment for ultimate Frisbee, softball and/or five-a-side football. We’re aiming for a 2-1 ratio of teens to alums. Another key component of the the Refugee Council is their Destitution Services. We’re in the process of securing a community garden in Hackney (tbc) for some outdoor fun and workshops, plus a meal along the lines of the lunch volunteers prepared for DoS 2014. We’ll need YCL volunteers to cook, spend time with the refugees, set-up, and clear-up. Margaret is also keen to find a team to collaborate on the development and delivery of a programme for the Refugee Council’s Integration Unit. The aim would be to provide informal surgeries on key topics to help people new to the UK to consider the types of questions they need to be asking, strategies and skills, plus networking and research opportunities to reach their potential in a new culture and society. Due to safeguarding issues, it will be difficult to incorporate younger families this year, although we continue to try to accommodate this. (Anyone with ideas for next year, please contact Margaret glo.mar.eli@gmail.com.) Families with children aged 15+ would be more than welcome for the picnic and games component of the ‘Day Out’ with the Children’s Section. For more information: Please contact Margaret Glover: glo.mar.eli@gmail.com or 07813901977. Core team planning meeting: If you’re available to work with Margaret as part of the core team, please join her for a planning meeting Monday, 21st March, 18.00, 31 St Jame's Square, SW1 (President Joe Victoria's office: you will need his mobile to get through final door: 07712 136699).